Our rationale for the challenge was simple. We know that kids (and adults) need nature for better health, yet it can be difficult for many families to find the time, resources or motivation to get outdoors. Still, we suspected there was an additional treasure trove of ideas out there, waiting to be shared with the world. Since May, families, bloggers, educators and organizations from around the world have taken on the challenge. Nearly 10,000 posts on Instagram, great contributions to our Guest Blog, and more posts than we can count on Twitter and Facebook have come in! Inspiring, creative Vitamin N ideas continue to stream our way every day. To see some of these posts, just look for the hashtag #VitaminN on Instagram, Twitter or Facebook or check out the #VitaminN showcase on Miappi. 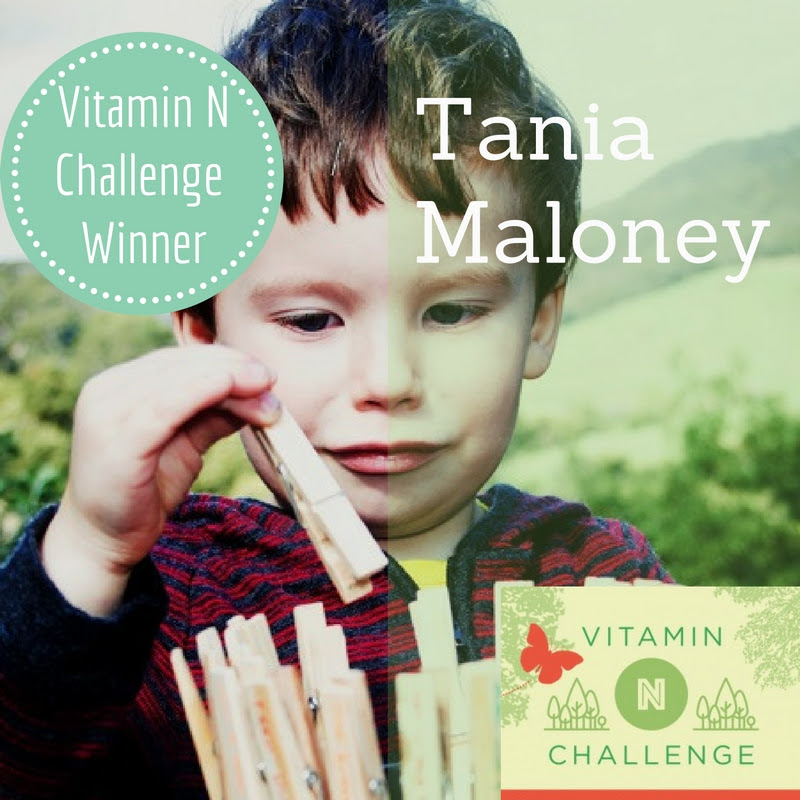 The success of the Vitamin N Challenge made selecting the winners of the challenge quite the challenge. Some of our favorite submissions were from folks we had previously crossed paths with—Family Nature Club Leaders going deeper (and longer) in summer-long commitments to sleep under the stars. We were thrilled, however, to meet many new inspiring people through the challenge. People like Kelsey General, a mother of two young boys, one with Autism. Kelsey regularly fills her Instagram feed with photos of her adorable “littleadventurefamily” exploring the outdoors. But what we admire most about Kelsey’s posts are her honesty—that getting her boys outside isn’t always easy— but it’s always worth it. 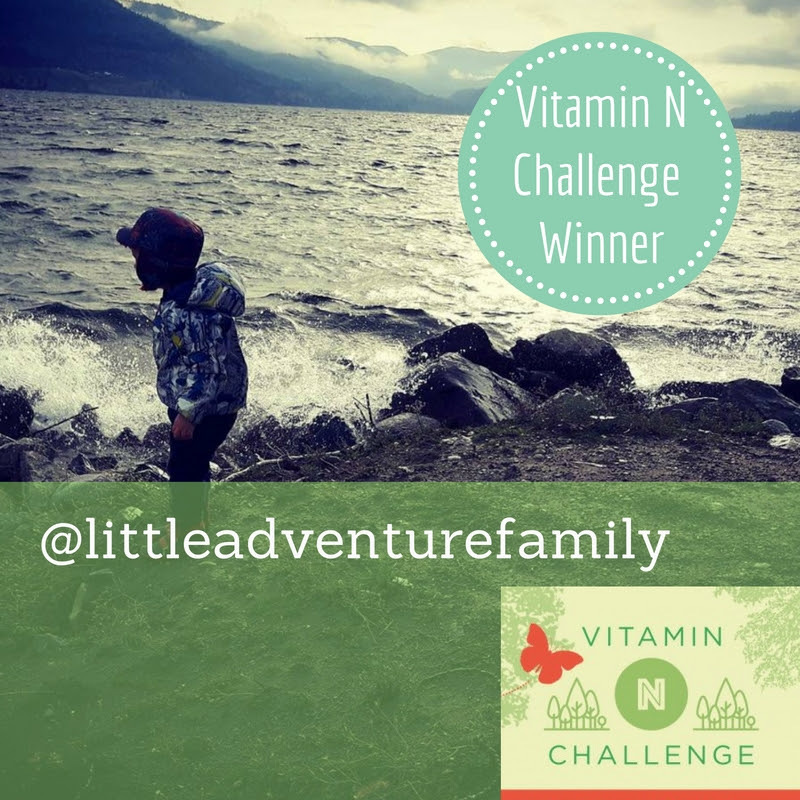 With the hashtag #VitaminN solidly installed into the social media vernacular, we don’t think we can ever say the Vitamin N Challenge is over. We will continue to share endearing and inspiring moments on our social channels. And we’re sure your Vitamin N journeys will continue on. Please share them with us. And please get to know the winners (below). Each will receive a signed set of three of Rich Louv’s popular titles, Last Child in the Woods, The Nature Principle and, of course, Vitamin N. Connect with these creative folks on social media. Let them know if your family tried out and enjoyed their ideas. And, on behalf of C&NN, thank you for taking the Vitamin N Challenge with us! 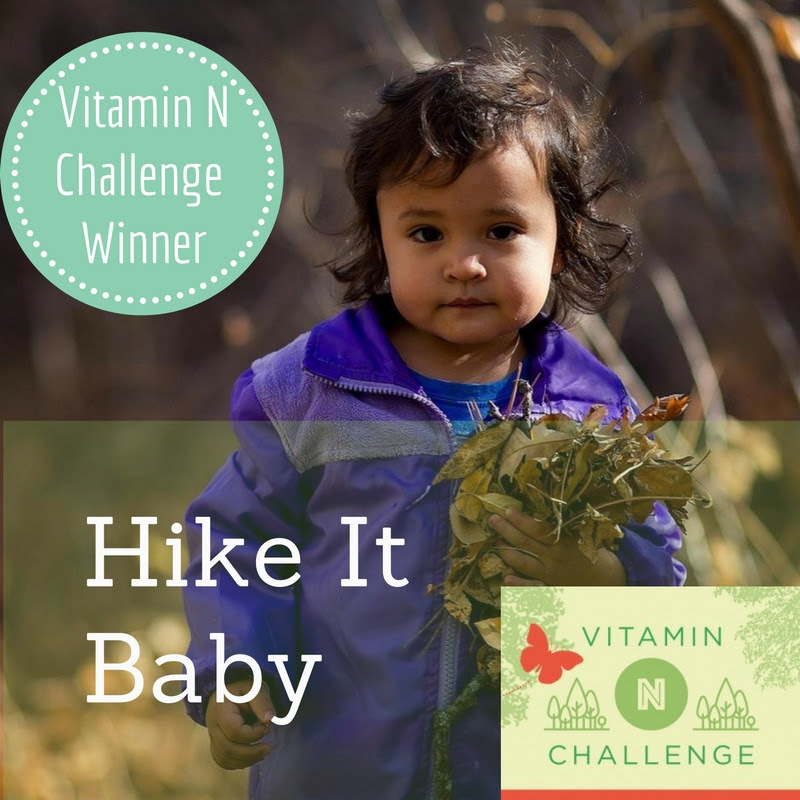 Why: Hike It Baby’s Instagram stream has been steadily filled with inspiring images of children enjoying nature since the challenge launched. This growing organization gets parents and the youngest stewards of the outdoors outside regularly. We especially admire that access to nature for ALL children— of all races, backgrounds and abilities— is important to Hike It Baby. 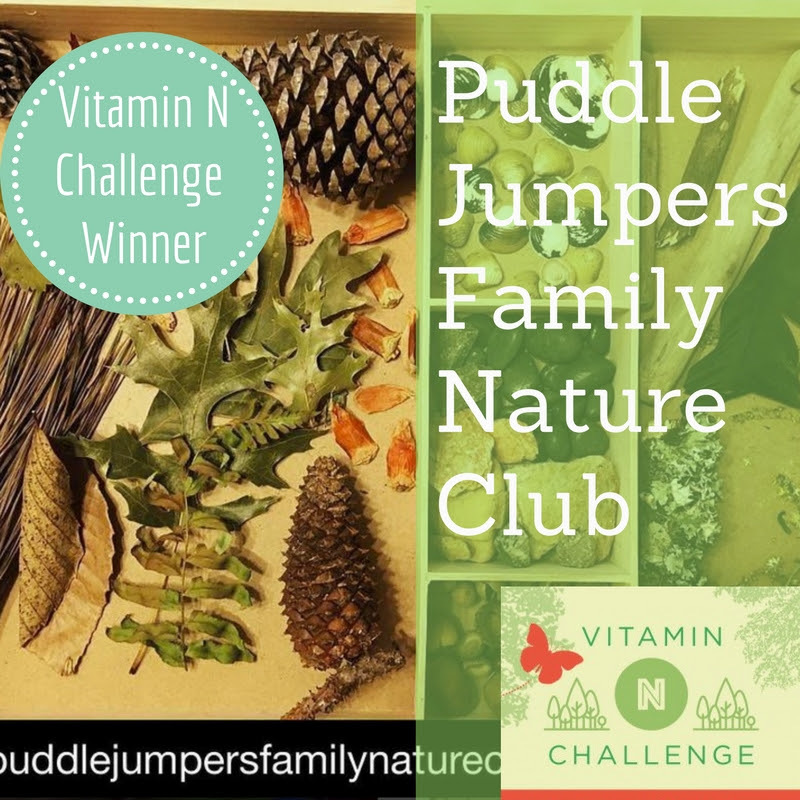 Why: The newly-founded Puddle Jumpers Family Nature Club has been sharing simple and accessible ways to share and connect kids to nature, including this excellent idea to collect nature objects in a tray for nature exploration all year long! 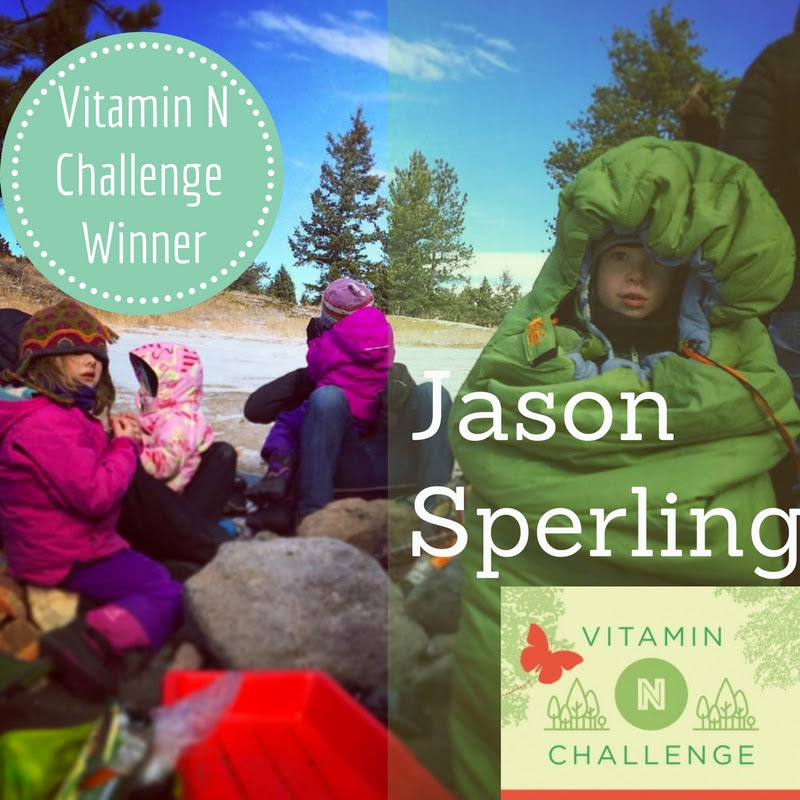 Why: A Family Nature Club leader, Jason Sperling didn’t need a challenge to get his family out in nature. But we’re sure glad he decided to! All summer, he has been sharing his awesome ideas with fellow challenge-goers, including his idea to build a backyard fort for his kids. Why: Monique has been sharing innovative and creative ideas for connecting her family to nature on her Instagram feed. We are big fans of the nature pal exchange Monique and her family are participating in. What a great way to share nature with others! Why: We were already fans of Marghanita and her creative art-based nature ideas. 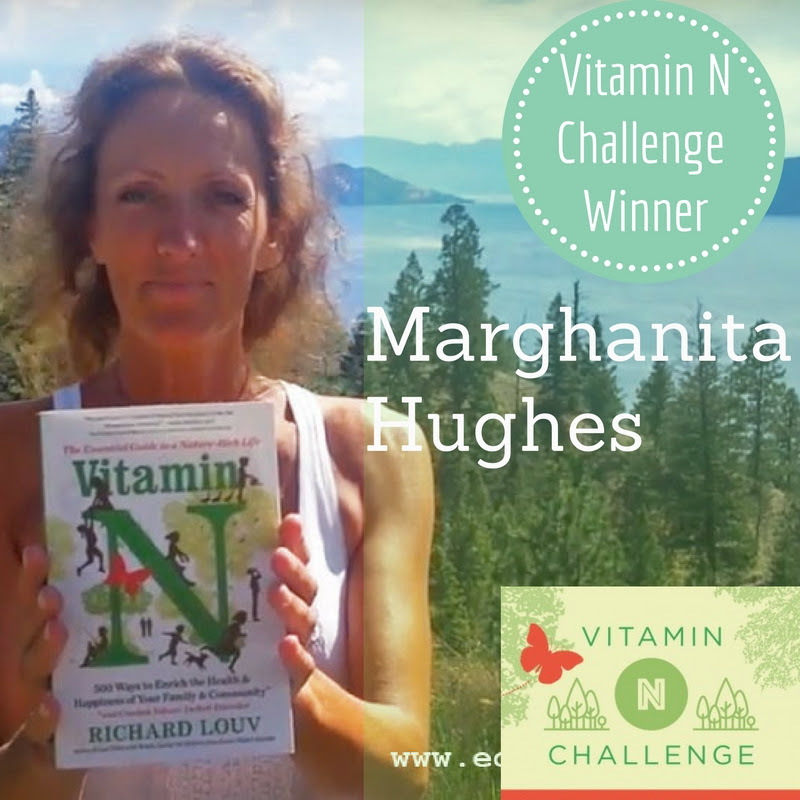 We expected nothing less when Marghanita decided to make the Vitamin N Challenge a true challenge with a goal of seeking out nature in the city. Through her posts and videos, Marghanita shares her ideas and enthusiasm for nature with a positive outlook. 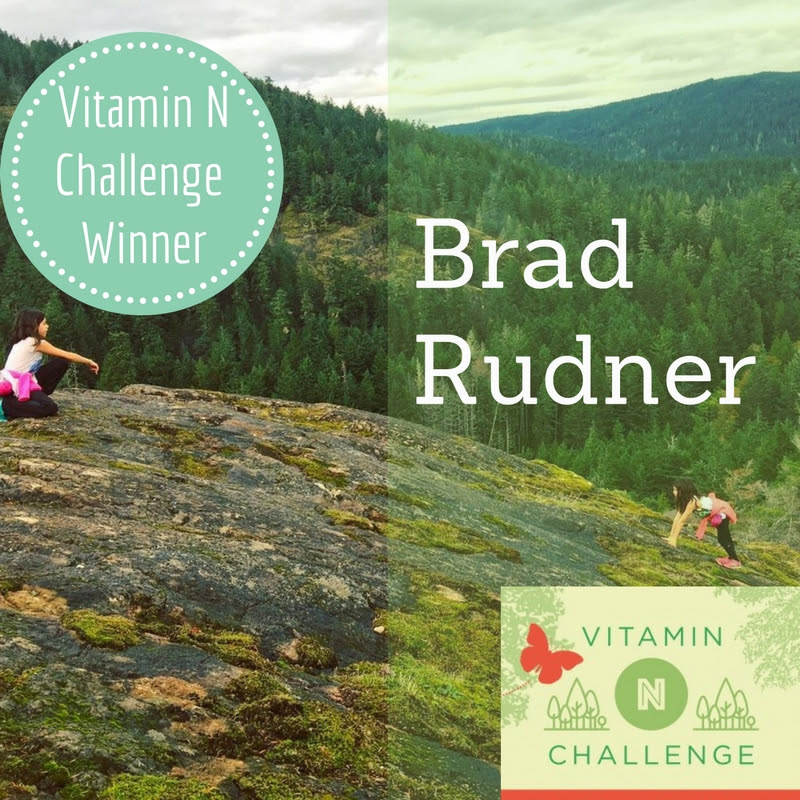 Why: Brad and his family demonstrated a commitment to getting regular doses of Vitamin N with great food and quality family time spent together. The Rudner family spent almost every night this past summer sleeping under the stars. 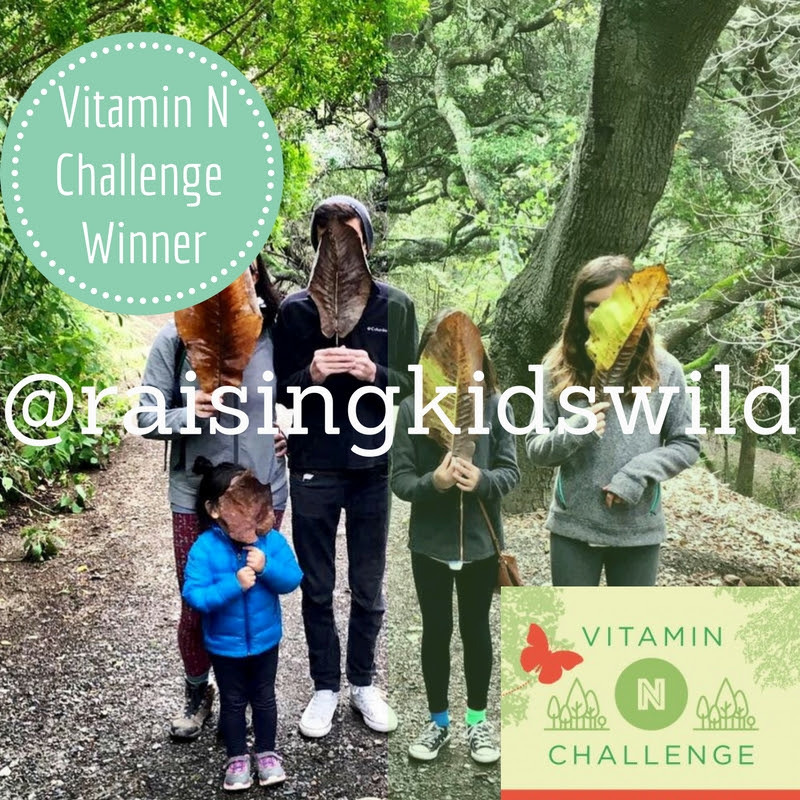 Why: We admire that Stephanie was a Vitamin N Challenge early adopter— filling her Instagram feed with fantastic family nature outings! Stephanie is one mom who knows how to model creative ideas for connecting her family to nature. 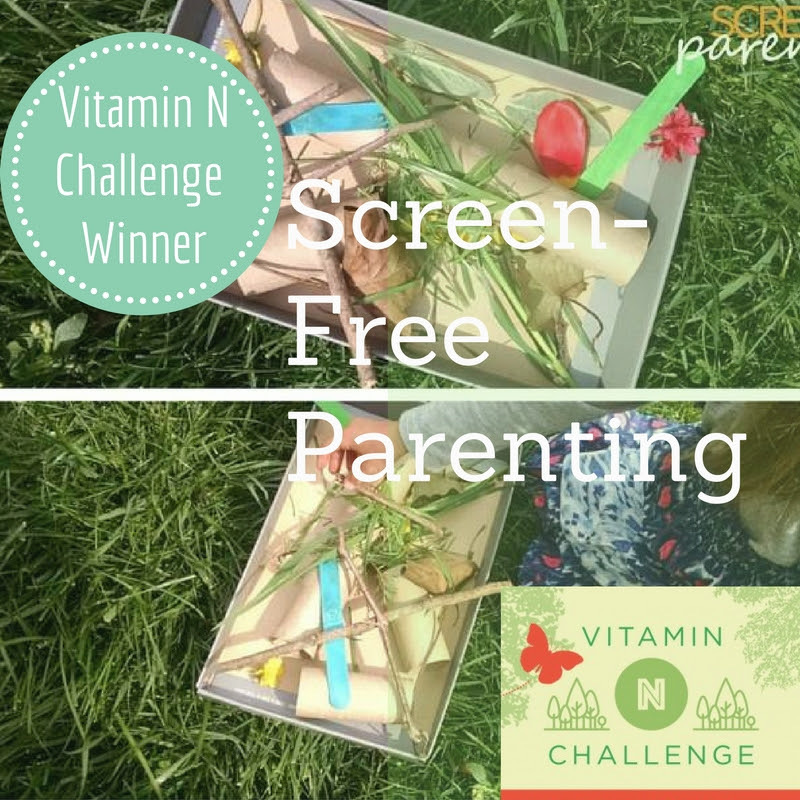 Why: Screen Free Parenting got our attention way back in May when we launched the challenge. 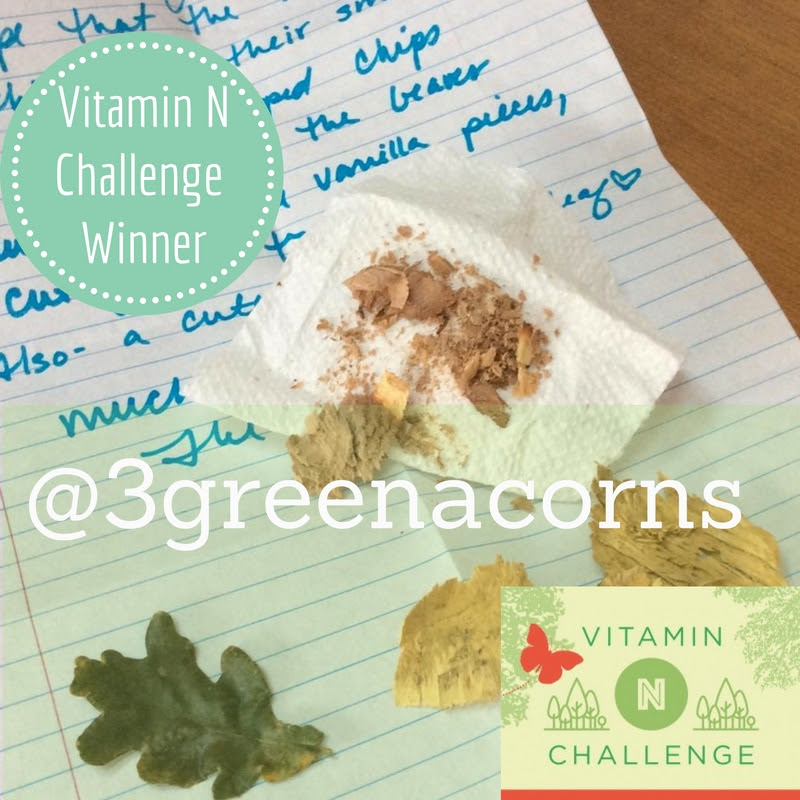 We think they may have even written the first blog post about the Vitamin N Challenge, including this idea to create nature sniffer cups. Why: Tania has been connecting families with nature down under for quite some time. But we love that she has helped to make Vitamin N accessible to anyone with her Vitamin N Family Nature Bucket List — a widely popular tool that continues to receive rave reviews from social media. Here’s a list of 50 books to help keep your family outdoors all year long, including “VITAMIN N,” which offers 500 ways that families and communities can connect to the natural world — and fight nature-deficit disorder.